SKU: SC 160. Categories: Earrings, Nautilus. 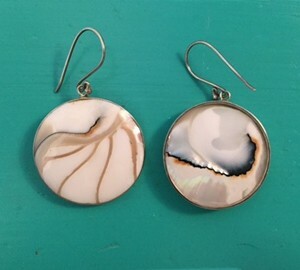 Nautilus Round Two Sided White Earrings are gorgeous. 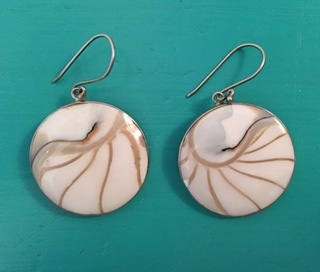 Handmade using Sterling Silver & the natural Chambered Nautilus Shell, the chambers of which are filled with a white glassy resin to give it its main colour. 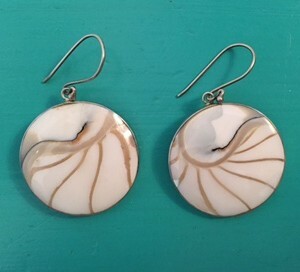 These Nautilus Round White Earrings are beautiful and are sure to get admiring looks. 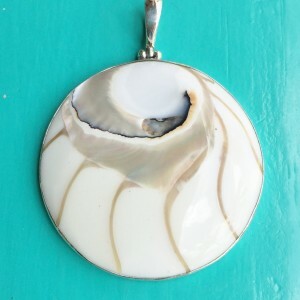 They are also two-sided – on the reverse you see the pearlised part of the Nautilus shell. Team it up with the matching pendant (Large or small) for the perfected look.